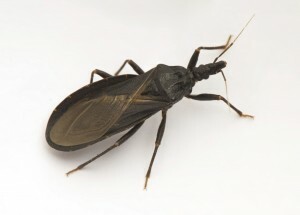 My son lives outside of Carrizo Springs, TX and has chagas bugs around his house & sees them on his decked porch. He has two dogs. What can he use to kill these bugs? We believe the dog he had before may have died as a result of the bug and the disease they can carry. The healthy 10 month old dog dropped dead suddenly one night and he had lived in an area prior to this where there were many of these bugs. He was probably bitten there before he moved to Carrizo. But he sees these bugs on his porch now. How can he safely kill the bugs and not hurt his dogs? Thank you. No doubt Chagas bugs can be dangerous. Fortunately they’re easy to control. Use BIFEN GRANULES in the yard and then spray over the top with CYONARA RTS. Be sure to spray all the turf, plants and house siding too. These products are commonly used for ticks and fleas but they work great for chagas bugs too. And they’re safe. Just keep the pets off the area when treating and allow the treatments to dry 1-2 hours before letting them back into the area. Retreat every 2-4 weeks until they’re gone and once you don’t see any, treat once every 1-2 months to make sure they don’t come back. Here are direct links to the information and products listed above. 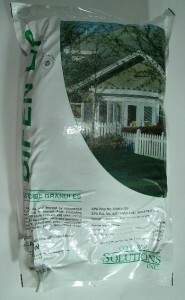 The bag of granules will cover up to 1/2 acre per 25 lbs. Retreat once a month until they’re gone; once every 3 months to make sure they don’t return. Next, spray over the top with the Cyonara. One jug will cover up to 1/2 acre. Treat once a month over the granules but also spray tree trunks, the sides of the home, etc. if any bugs are landing on something above the ground. And if they come back strong in 1-2 weeks, spray again. It can sometimes take 2-3 treatments the first month to knock them down.